It’s been talked about for some time but they finally closed the road. Motor vehicles now have to make their way from Yalıkavak to Bodrum and Turgutreis over the hills via a new bypass. I’ve made the crossing on the bicycle a few times, and the view over sparkling Aegean waters to the Greek Islands of Kalymnos and Leros is spectacular. It’s quite a grunt though getting up there under pedal power, and not something I feel up to everyday on my morning pre-breakfast simit run to the village bakery. Luckily our neighbour Ertuğrul told me he could still use the old road on his motor scooter, so I gave it a try – and sure enough, there’s a narrow path between the high bank on one side and the archeological excavations on the other sufficient for pedestrian traffic, cyclists and the cows and horses of local farmers. It has long been known that the coastal Turkish village of Gümüşlük is built on the site of the ancient city of Myndos. Large finely cut stones visible in the shallow waters of the bay and reused in the construction of more recent buildings, sections of marble columns peeking through the dust of country lanes and a perfect natural harbour suggest that this spot would be, and in fact has been for long centuries, a very nice place to live. A bilingual sign in Turkish and more or less decipherable English provides one or two tantalising details, but it is only in the last five years or so that archeologists from several Universities in Turkey and Hamburg in Germany have begun serious work on unearthing what lies below ground level. 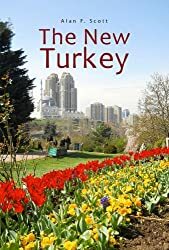 Myndos lay in a region known in ancient times as Caria, after the people who may or may not have been related to the Leleges (whoever they were), but in any case spoke an indigenous Anatolian language and may have been the original inhabitants of the land. Their main claim to fame lies, or lay, in the Mausoleum of Halicarnassus, a stupendous funerary monument erected around 350 BCE by Artemisia, queen of Caria, for her much-loved husband (and brother!) Mausolus. This edifice was numbered among the Seven Wonders of the Ancient World, and apparently survived in recognisable form until the arrival of Crusading Christians, who demolished it to build a castle in the 15thcentury. If all goes well, the ongoing excavations at Gümüşlük will unearth sufficient material to establish a museum in situ providing deeper insights into the history of the area. International law these days will probably prevent too many of the finds relocating to museums abroad. So far, a small temple to the God Apollo has been unearthed as well as remains of a basilica church from the early Christian period, and my route to the bakery skirts around work in progress on a pre-Christian necropolis – proof again, if more were needed, that there is more history still beneath the ground in Turkey than can be seen in a quick tour of Troy, Ephesus and Cappadocia. 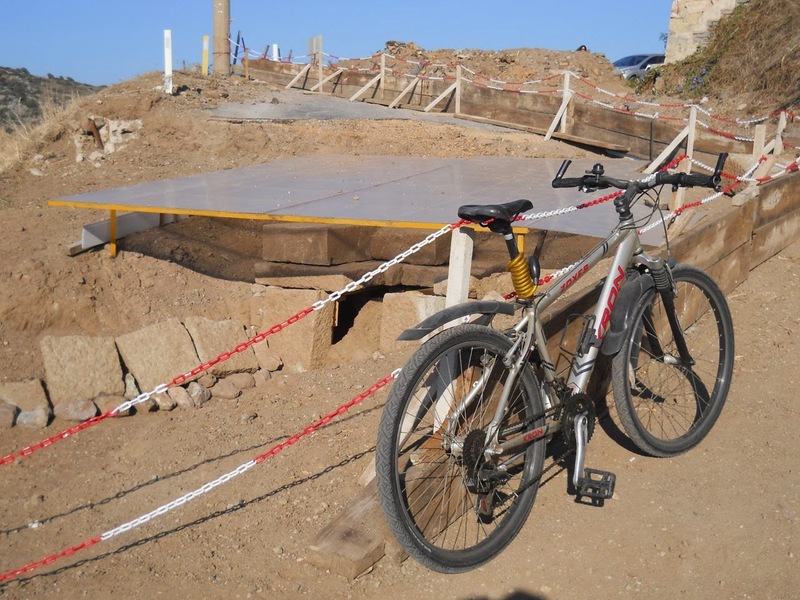 In March alone this year, in various parts of Turkey, archeologists found tombs in Ortakent, just down the road from Gümüşlük, containing bones dating back to the Mycenean era 3,500 years ago; Byzantine tombs from the 11thcentury were found in Tokat province; and, a 2,000-year-old bust of a king was discovered during excavations in the ancient city of Stratonikeia in Muğla’s Yatağan district. Two months later, a team working in Balıkesir province on an ancient site known as Cyzicus brought to light ‘the largest ever capital from Roman times’, a twenty-ton chunk of carved marble from a huge temple Professor Nurettin Öztürk of Erzurum Atatürk University is calling the Eighth Wonder of the World. In 2012, when a period of drought lowered the level of Lake Küçükçekmece on the western outskirts of Istanbul, the receding waters revealed remains of a harbour town Bathonea, dating from the 2nd century BCE. Clearly there is more than enough ancient stuff waiting to be discovered beneath the soil and waters of Turkey to keep armies of archeologists happy into the foreseeable future turning up statuary and artifacts to fill new museums by the dozen and score. So perhaps we might expect the Turkish government to ease back a little in its demands on foreign establishments to return artifacts it considers to have been illicitly obtained. Not likely though. Despite greater international awareness of illegal markets in artworks and artifacts and more stringent laws and requirements to check provenance, the existence of a market with high spending power, as any economist will tell you, inevitably creates a supply. An indication of this is an article I came across recently about a London-based company that specialises in tracing and returning stolen works of art. The Art Loss Register operates in dark corners and stratospheric altitudes of the international art market to return paintings by Cézanne, Sisley and Matisse to their rightful owners – so long as they can pay the company’s fee. It’s a high end niche in the free market economy and not every victim of art theft can afford the price – least of all museums and galleries struggling for survival in an environment increasingly focused on bottom-line accounting. They are more likely to rely on their national government to bring moral and other pressure to bear on organisations or individuals they consider to be harbouring misappropriated treasures. Turkey is not alone in this, though it has been perhaps one of the countries to suffer most over the years. My own homeland New Zealand has no eons of history to compare with those of the Eastern Mediterranean – but even we have been active in the business of repatriating heritage items. New Zealand was one of the last significant land masses on the planet to be invaded by colonists from Europe, and the native Maori people were, within the last two hundred years, living a life of noble savagery, hunting, gathering, fishing, a little agriculture, making war, enslaving, eating and, to the horrified delight of the British upper classes, preserving the tattooed heads of their vanquished enemies. Such heads became much sought after by enterprising colonists who apparently established a profitable little export business supplying the drawing-rooms back home. Again the forces of economics came into play. Traditionally it was illustrious chiefs and celebrated warriors who sported the most elaborate tattoos – and a well-preserved trophy head had such cultural significance to the Maori people that they had a word for it (actually two words) in their language: toi moko. However, it seems two spin-offs of the flourishing export trade were an increasing reluctance of chiefs and warriors to add to the removal value of their head by having themselves tattooed, and a parallel growth in the practice of tattooing slaves prior to beheading them to feed the insatiable demand of the new market. In recent years, with a developing awareness of the rights of indigenous peoples, and a sense of guilt among descendants of the invading colonists, voices have been raised insisting on the return of the sacred remains of ancestors for proper respectful interment. The most recent case has involved the handing over of a mummified tattooed Maori head from a museum in the island of Guernsey. According to a spokesman at the Te Papa Museum in Wellington, there are ‘more than 650 Maori ancestral remains housed in overseas institutions,’ and requests are being made to get them back. It’s a complex business. 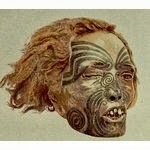 Post-modern attitudes to tattooing, decapitating and mummifying the heads of neighbours and slaves being what they are, there is a natural sympathy for the sensitivities of Maori folks who may want to see great grandfather’s head laid to rest in a decent burial with the rest of his body, if that can be located. On the other hand, there is a fear in some circles that giving in to these demands may create a dangerous precedent that will lend strength to the arguments of others wanting, say the Elgin Marbles returned to Greece, and the Parthian Frieze to Turkey. In times of uncertain morality, it seems to become, paradoxically, more important for individuals and nations to raise their flag on the moral high ground. So French authorities, for example, are arguing that human body parts possess a sacred significance that is absent from works of art or relics of ancient civilisations. Returning an ancestral mummified head to family in New Zealand, they insist, in no way implies an obligation to send, for example, the Mona Lisa back to Italy. The British Crown Dependency of Guernsey is an interesting historical oddity some 50 km off the coast of France, and 120 from the English mainland. Along with Gibraltar and the Falklands, its location places it in a geographical and political limbo – though Gurns (as the natives are apparently called) have taken advantage of their dodgy political status as a bailiewick (whatever that may be) to build a prosperous economy based on banking, fund management and tax evasion. It seems, however, that cash-strapped EU member nations are bringing pressure to bear on the Gurns to adopt less edgy financial practices. Possibly the islanders, who, after all, are the personal vassals of Queen Elizabeth II of Great Britain and Northern Ireland, want to make a statement. We are holier than thou in the field of repatriating controversial antiquities, so let him who is without sin cast the first stone. Most importantly, the road to the village bakery remains open, at least to pedestrians, cows and cyclists. This entry was posted in Archeology, museums, New Zealand, stolen treasures, treasures of Turkey. Bookmark the permalink. ← What Would Atatürk Say – if he came back today? Thanks for the positive feedback, Arun. You are frighteningly well-read Mr Scott. An example to us all. Keep up the great work.